The Truth about Mormonism: ONE GOD three distinct Persons "Trinity"
ONE GOD three distinct Persons "Trinity"
, first used by Theophilus (A.D. 168 A.D. - 183 A.D.), or from the Lat. trinitas, first used by Tertullian (A.D. 220 A.D.), to express this doctrine. The propositions involved in the doctrine are these: 1. 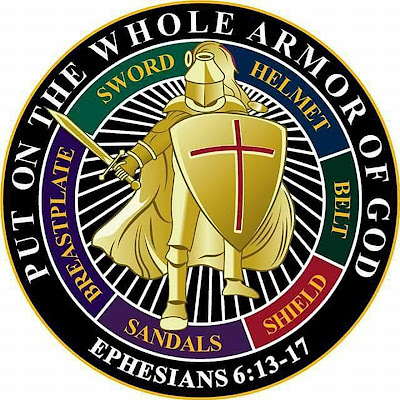 That God is one, and that there is but one God (Deut 6:4; 1 Kings 8:60; Isa 44:6; Mark 12:29,32; John 10:30). 2. That the Father is a distinct divine Person (hypostasis, subsistentia, persona, suppositum intellectuale), distinct from the Son and the Holy Spirit. 3. That Jesus Christ was truly God, and yet was a Person distinct from the Father and the Holy Spirit. 4. 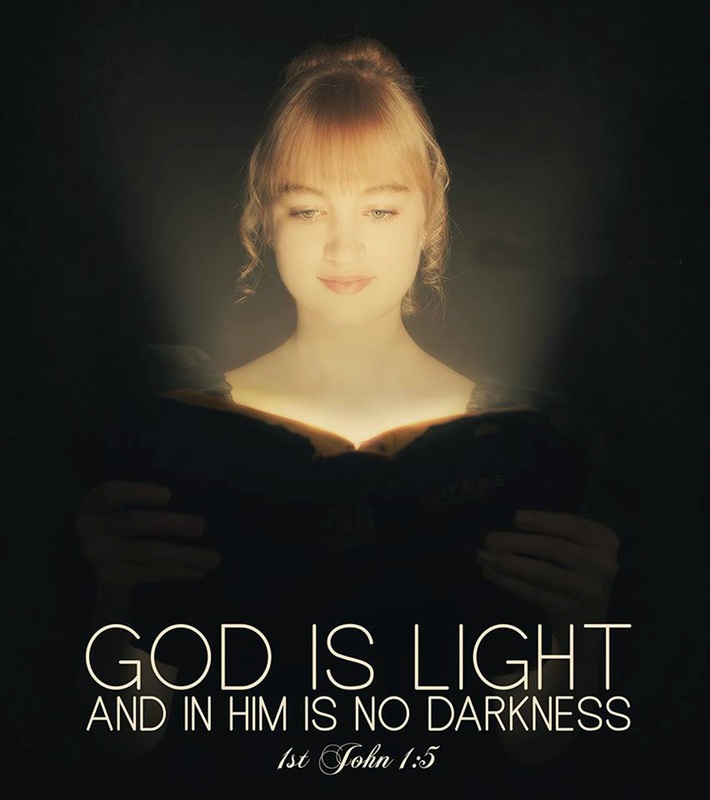 That the Holy Spirit is also a distinct divine Person. we are not using Biblical language when we define what is expressed by it as the doctrine that there is one only and true God, but in the unity of the Godhead there are three coeternal and coequal Persons, the same in substance but distinct in subsistence. A doctrine so defined can be spoken of as a Biblical doctrine only on the principle that the sense of Scripture is Scripture. 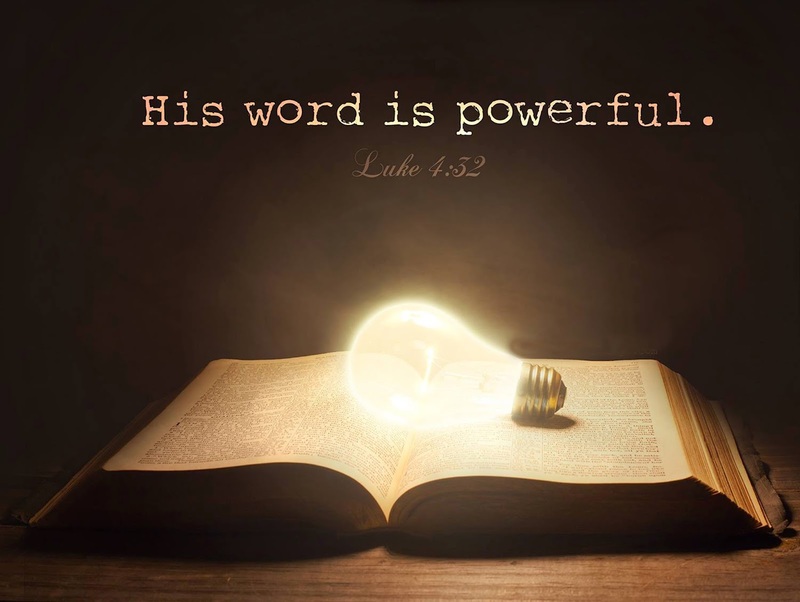 And the definition of a Biblical doctrine in such un-Biblical language can be justified only on the principle that it is better to preserve the truth of Scripture than the words of Scripture. 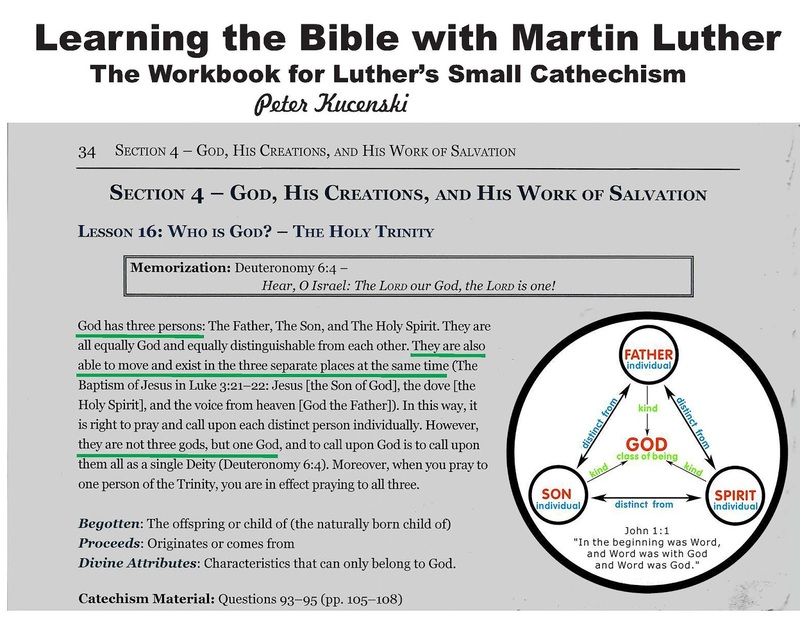 The doctrine of the Trinity lies in Scripture in solution; when it is crystallized from its solvent it does not cease to be Scriptural, but only comes into clearer view. Or, to speak without figure, the doctrine of the Trinity is given to us in Scripture, not in formulated definition, but in fragmentary allusions; when we assemble the disjecta membra into their organic unity, we are not passing from Scripture, but entering more thoroughly into the meaning of Scripture. We may state the doctrine in technical terms, supplied by philosophical reflection; but the doctrine stated is a genuinely Scriptural doctrine. ousia Greek for “substance” or “being.” Trinitarian thought suggests that the Son derives his ousia from the Father, and yet what the Son is so the Father is exactly (see homoousios). In their formulation of the doctrine of the Trinity, the Cappadocian fathers declared that God was one ousia but three hypostaseis. 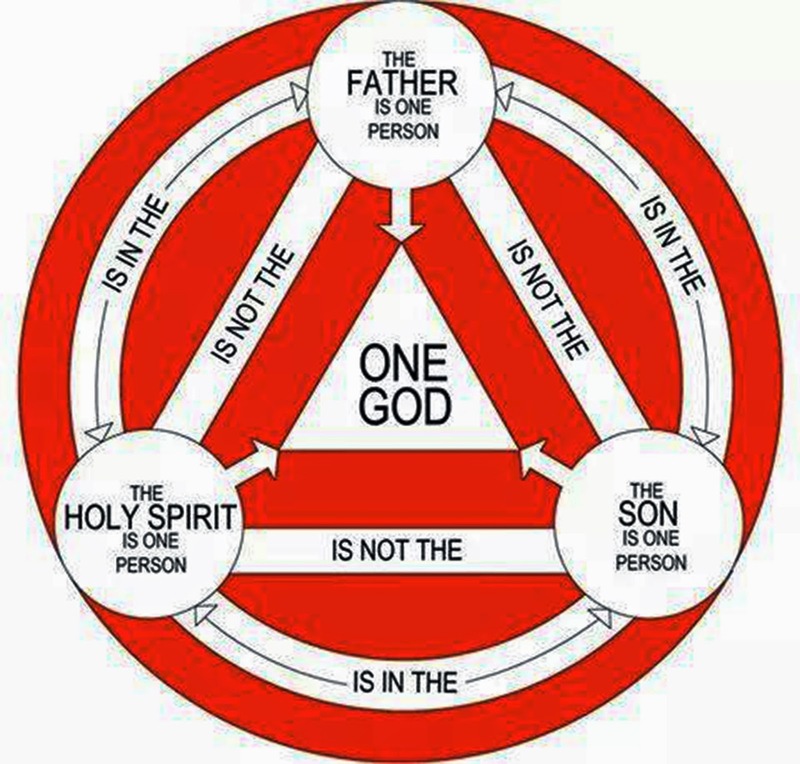 Trinity The Christian understanding of God as triune. Trinity means that the one divine nature is a unity of three persons and that God is revealed as three distinct persons: Father, Son and Holy Spirit. 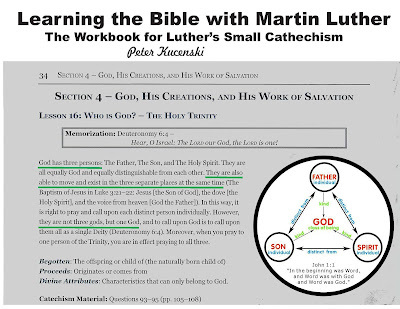 The ultimate basis for the Christian doctrine of the Trinity lies in the divine self-disclosure in Jesus, who as the Son revealed the Father and poured out the Holy Spirit. 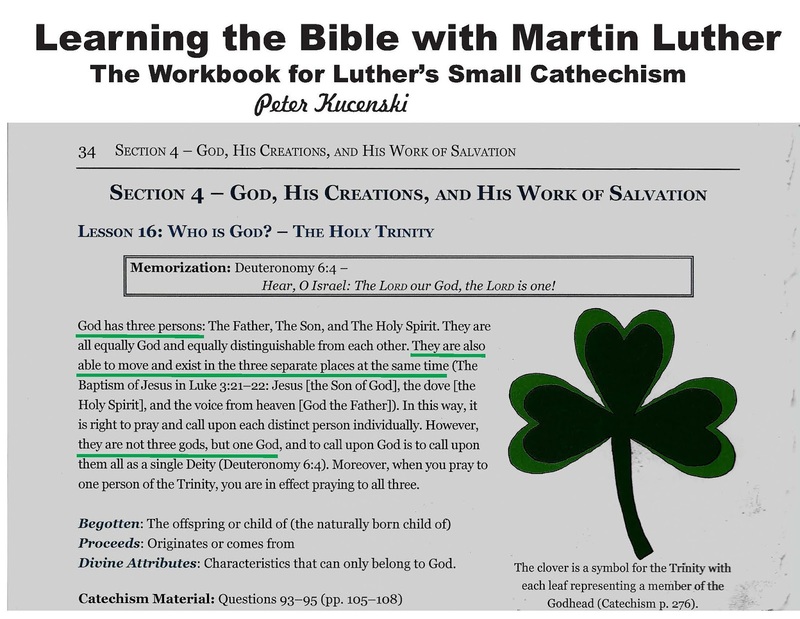 A BASIC DEFINITION It is time to lay down a basic, fundamental definition of the Trinity. At the end of our study we will look a little closer at this definition, expand upon it some, and examine a few of the issues it raises. But we need a short, succinct, accurate definition to start with. Here it is: Within the one Being that is God, there exists eternally three coequal and coeternal persons, namely, the Father, the Son, and the Holy Spirit. 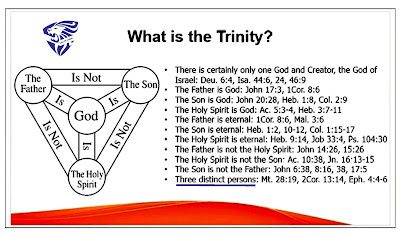 Hank Hanegraaff, president of the Christian Research Institute (CRI), has often expressed this point in a wonderfully simple and clear way: when speaking of the Trinity, we need to realize that we are talking about one what and three who’s. 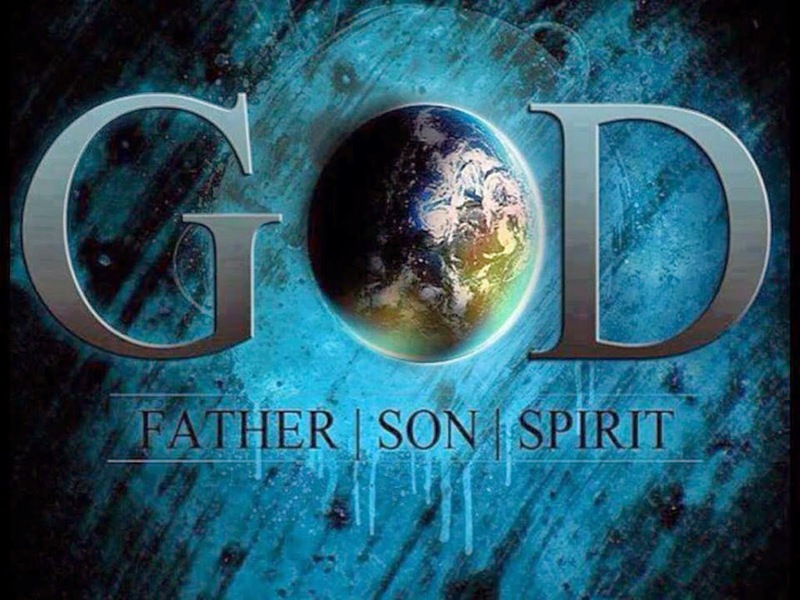 The one what is the Being or essence of God; the three who’s are the Father, Son, and Spirit. 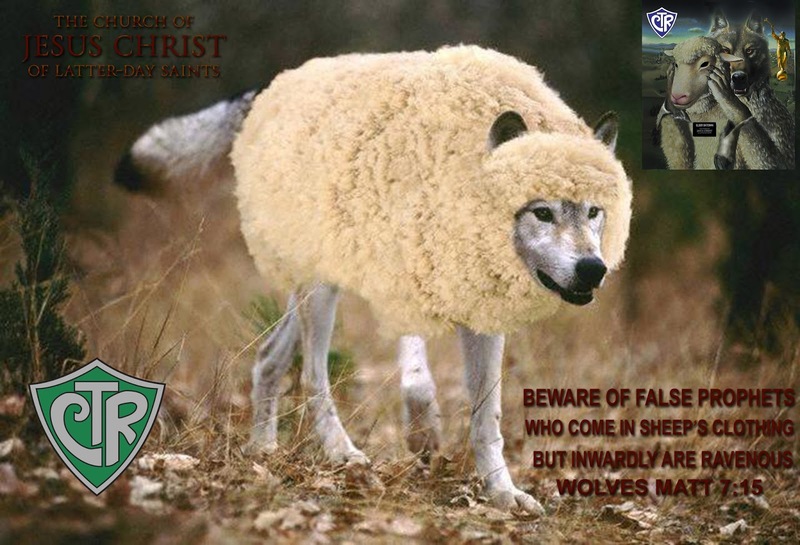 We dare not mix up the what’s and who’s regarding the Trinity. Thirdly, we are told that the relationship among these divine persons is eternal. They have eternally existed in this unique relationship. Each of the persons is said to be eternal, each is said to be coequal with the others as to their divine nature. Each fully shares the one Being that is God. 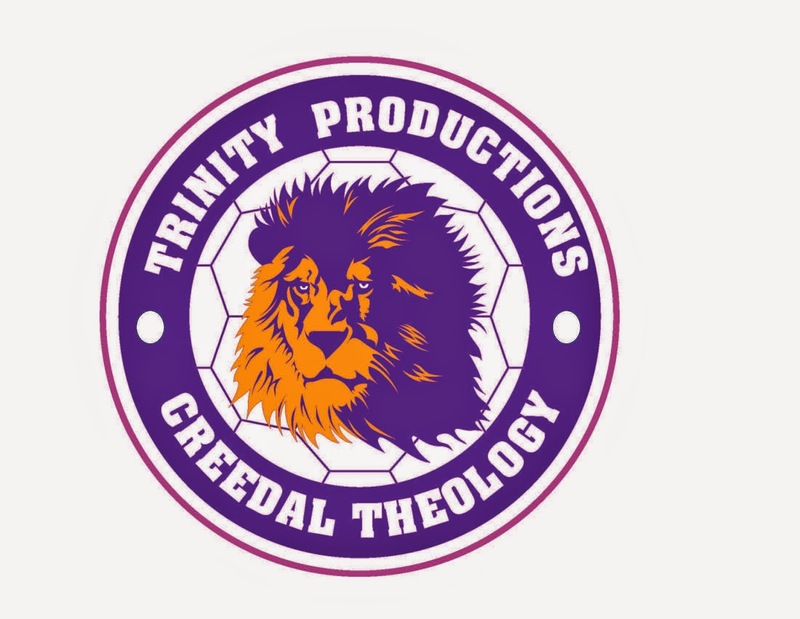 Christians believe in the Trinity not because the term itself is given in some creedlike form in the text of Scripture. 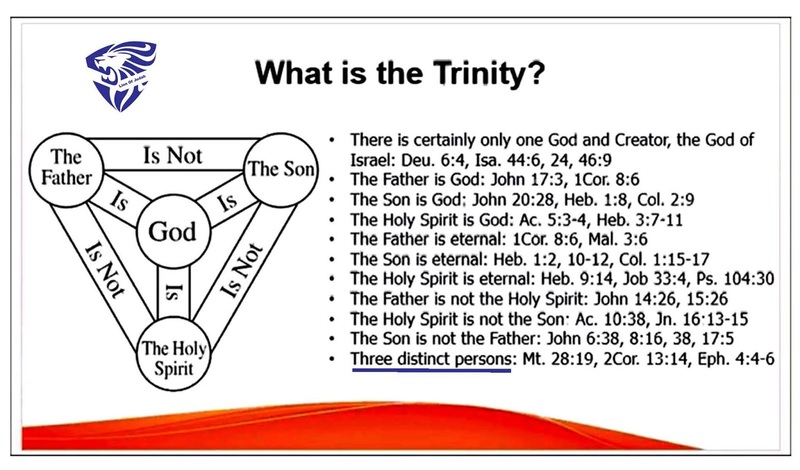 Instead, they believe in the Trinity because the Bible, taken in its completeness, accepted as a self-consistent revelation of God, teaches that there is one Being of God (Foundation One) that is shared fully (Foundation Three) by three divine persons (Foundation Two), the Father, the Son, and the Holy Spirit. There is none else. No other God, no other deity, no other Savior. One God, absolute, eternal, Creator of all things. The doctrine of the Trinity is based upon this firm foundation. We are no proclaimers of a plurality of gods. We have no allegiance but to the same God who appeared to Moses in the burning bush. The Trinity in no way, shape, or form compromises this fundamental truth— it does, however, fulfill it, bring it to full realization, and reveal to us how this one true and eternal God exists as three coequal and coeternal persons. White, James R. (1998-11-01). The Forgotten Trinity (p. 46). Baker Publishing Group. Kindle Edition. notice how the Bible is always singular God, Plural persons. Bill McKeever;Eric Johnson. 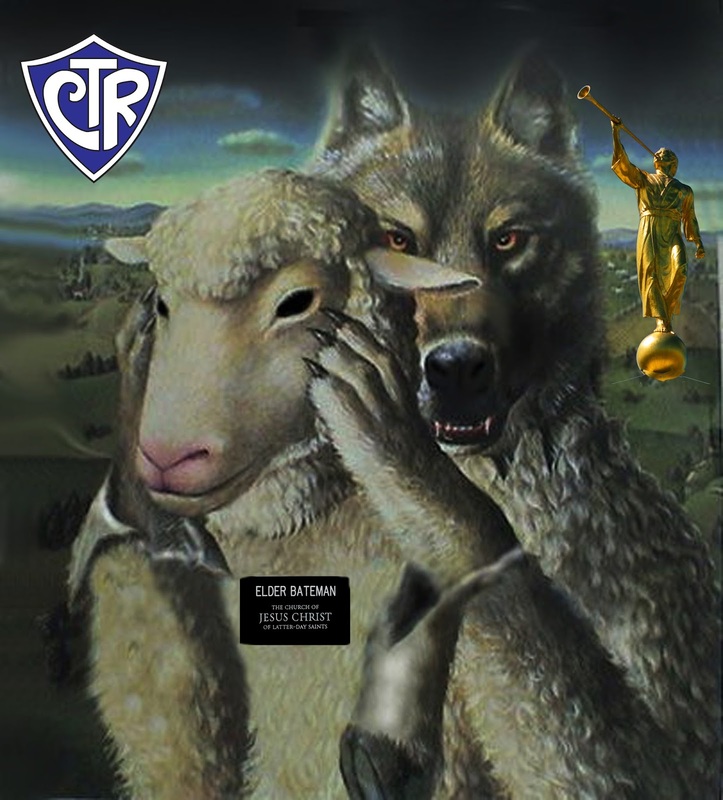 Mormonism 101: Examining the Religion of the Latter-day Saints (Kindle Locations 503-507). Kindle Edition. James Talmage tells a lie here since the Creeds never say same or one person. 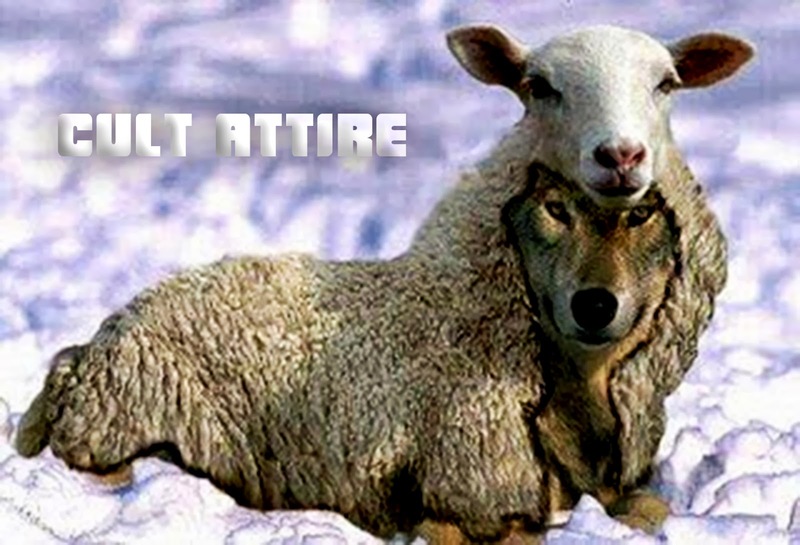 They do teach one substance since substance is a synonym for Godhead.